Queen Anne Red Swarovski Crystal Bridesmaid Candle - Our bridesmaid candle is hand decorated in an oval design with real Red and White Queen Anne flowers and adorned with Swarovski crystals and shimmering faux Pearls! 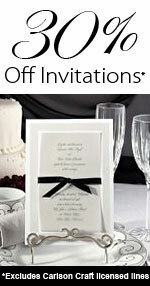 It is a beautiful and sophisticated gift for your wedding party. Personalize with your own special message with up to 5 lines, 12 characters per line. Comes wrapped in cello and tied with a burgundy ribbon.